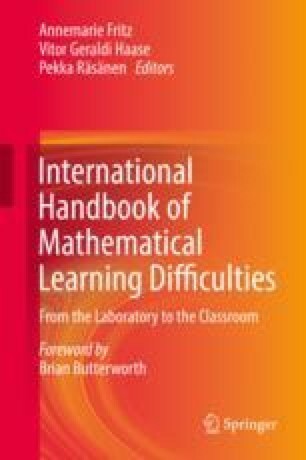 The aim of this chapter is to present the developmental situation of Chile and Uruguay in terms of mathematics learning, and the difficulties arising as a result of a deficiency in this subject. We will begin by reviewing the available performance statistics for mathematics provided by a number of international studies. Both countries present similar levels of performance and are subject to the mediating effects of socio-economic and gender variables, as will be covered in the coming sections. The segregation factor present in the two countries makes students with specific learning difficulties more vulnerable, and each country manifests differing levels of development in terms of the presence of education policies that respond effectively to these groups. Chile has subscribed to the new diagnosis and intervention trends of preventive models, however there are still some obstacles to their successful application in the field of school education. Uruguay, in turn, is striving towards a solution to the problem of education and presenting some promising initiatives. To a certain degree, the status of school education is an indication of the level of advancement in research. Studies are still few and far between given this early stage of change, however the signs point to exponential growth within a few years, as we will see in this chapter.